Michigan Corps, a non-profit organization supporting social innovation, and the Michigan Economic Development Corporation yesterday kicked off the 2014 Michigan Social Entrepreneurship Challenge, a statewide business competition with $60,000 in prizes—and more—on the line. Michigan Corps and the Michigan Economic Development Corpoartion are launching the second annual Michigan Social Entrepreneurship Challenge for entrepreneurs seeking to improve the state. JACKSON, MI – More than $60,000 in prizes will be up for grabs to entrepreneurs who have the best solutions to help Michigan’s low-income residents become more self-sufficient. DETROIT (AP) — People and groups looking for ways to make Michigan a better place to live can apply for $60,000 in prizes to make their dreams come true under the Michigan Social Entrepreneurship Challenge. In 2013, Michigan created a competition to attract more than $1 million in new financial commitments to fund unknown change agents—people with innovative solutions to addressing joblessness, environmental problems, urban vacancy, and other issues. Michigan Corps and the Michigan Economic Development Corp. have joined together to launch the second annual Michigan Social Entrepreneurship Challenge, which will award entrepreneurs seeking to address pressing social challenges with more than $60,000 in prizes and a place in Michigan Corps' Impact Investment Fellowship. Local legal firm Jaffe to offer legal services package to winning entrepreneur of the nation's first state-wide social entrepreneurship contest. The Michigan Social Entrepreneurship Challenge will feature a cash prize for an entrepreneur aspiring to make a positive impact in Flint. The prize is funded by a group of both current and former Flint residents. The Michigan Social Entrepreneurship Challenge's aim is to draw out ideas for sustainable solutions that will positively impact communities around the state. Michigan Corps' will concentrate efforts on the Flint community through the Drive Flint prize, which will help an entrepreneur with a cash grant and a place in Michigan Corps' impact investment fellowship program. Michigan Corps partners with Niantic Labs at Google to create a Field Trip Day in Detroit. Detroit's Urban Innovation Exchange publication features the work of Michigan Corps in creating resonant service opportunities for Michiganders around the world. Michigan Corps, in partnership with GLEQ and MEDC, hosted the state's first Social Entrepreneurship Showcase today as part of the nation's first statewide Social Entrepreneurship Challenge. The event featured winners of 11 awards and programs designed to build collaboration among an emerging network of social entrepreneurs across the state. The Magic Johnson Foundation has partnered with Michigan Corps to sponsor a $3,000 prize for a millennial-led social venture in Michigan. The Millennial Prize for Social Innovation will award a millenial entrepreneur who demonstrates promise for bringing about positive change in Michigan through a sustainable business model. 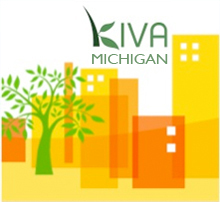 Michigan Corps Launches Kiva in Flint, Marking Statewide Expansion of Kiva Lending. Empowering the Flint community to lend to and champion the success of local entrepreneurs. Consumers Energy and The Heat and Warmth Fund Join the Pure Michigan Social Entrepreneurship Challenge. $15,000 in Cash Prizes and entrepreneurship training to be awarded for ideas and solutions addressing energy affordability and efficiency. Michigan is showing strong signs of becoming the national leader when it comes to social entrepreneurship. The latest of those signs is the Pure Michigan Social Entrepreneurship Challenge, a business competition featuring $50,000 in prizes. Detroit's reputation as a one-of-a-kind proving ground for innovative approaches to solving social problems got a boost today with the announcement of the Pure Michigan Social Entrepreneurship Challenge, a statewide competition offering $50,000 in cash prizes. The Michigan Economic Development Corporation, Michigan Corps and Great Lakes Entrepreneur's Quest announce the Pure Michigan Social Entrepreneurship Challenge, the nation's first statewide social entrepreneurship initiative. Today, we're excited to host the first ever KIVA SOUP event, resulting from an innovative partnership between Michigan Corps and Detroit Soup. At the end of September, Michigan Corps' microfinance initiative Kiva Detroit announced it was launching Kiva Zip to allow Detroiters to lend directly to small-business entrepreneurs using digital tools like PayPal. Similar to the Kickstarter model, any resident can nominate a local entrepreneur for community support as well as contribute directly to a crowd-funded, interest-free loan. Kiva Detroit helps community organizations provide local small businesses with microloans. Michael talks with Elizabeth Garlow, who runs Kiva Detroit. Experimental playhouse Puzzle Piece Theatre is crowdfunding a $5,000 loan on the Kiva Zip platform. Kiva Zip is a new component of Michigan Corps' Kiva Detroit initiative, which helped Detroit-area businesses amass about $50,000 in loans after launching last year. Kiva Zip allows people to nominate a local entrepreneur for community support and contribute directly to a crowd-funded, interest-free loan. It also provides new ways for entrepreneurs and potential supporters to interact about their plans, including an online forum. Kiva Detroit, launched 14 months ago as the first major community-based online micro-lending initiative in a U.S. city for group funding of small start-up businesses, is spreading its wings. Today plans will be outlined for Kiva Zip, an extension of the Kiva platform that will enable any citizen to nominate a local entrepreneur for support and contribute directly to a crowd-funded, interest-free loan through PayPal. Last week, we hosted our first Kiva Detroit business roundtable and were moved by the energy and encouragement that resulted. At the Mackinac Policy Conference, the Michigan Economic Development Corporation announced a partnership with Michigan Corps to grow our Kiva Detroit community. Michigan Corps' co-founders blog in Metromode about organizing for positive social change. Today, Michigan Corps unveiled the citizen network of Corps Members who will lead Kiva Detroit's growth. Knight Foundation is contributing $250,000 to Kiva Detroit: an innovative effort to empower Detroiters by enabling them to lend to and champion the success of local businesses through Kiva.org. "What I see in Detroit is an engages community that has a long history of helping each other out," says Matt Flannery, founder of Kiva.org. Rolling out first in Detroit, Kiva has partnered with Michigan Corps, ACCION USA, and the Knight Foundation to bring financial inclusion to a city that is wholly determined - from the government level to the individual level - on working collaboratively to bring good ideas to fruition, since one entrepreneur's success nourishes the entire community. Within three hours of launching Wednesday, a web-based initiative to attract business loans of as little as $25 each brought in $11,450 for five local startups. Detroit is Kiva's first locally-organized initiative in the U.S. and plans to expand throughout the rest of the country. To learn more about helping Detroit entrepreneurs get their business started, or to apply for funding visit kiva.org/detroit. Kiva Detroit, an extension of the California-based Kiva.org, enables anyone can give a loan for as little as $25 to small businesses in Detroit. Michigan Corps has formed a partnership of local foundations to create Kiva Detroit, a program that enables local residents to improve their communities by making microloans to local businesses and entrepreneurs. Kiva Detroit connects small business owners with individual investors for microloans. Kiva Detroit, a new initiative to bring more than $500,000 in microloans to small businesses in the city, will be rolled out Thursday with an event at Eastern Market and the launch of a new Web page, http://www.kiva.org/detroit . Lenders can pledge sums as small as $25 to help new businesses in the city. Through Kiva City, Kiva and ACCION USA can extend their reach to cities like Detroit with the help of Michigan Corps - a network of Michigan community members such as church pastors and business leaders who are both spreading the message of micro-lending and helping business owners fill out the paperwork required to access the microloans. Kiva City, kicking off in Detroit, is working with Michigan Corps to launch the project and build a community of small businesses and lenders. Kiva.org and Visa Inc. (NYSE: V)announced Kiva City, a new program that will extend small business access to microloans in U.S. cities, kicking off in Detroit as the first Kiva City. Knight Foundation highlights the vision of Michigan Corps and other innovators in a moving piece about Detroit and the recent Super Bowl Ad. Michigan Corps joined with the White House to announce its effort to inspire, empower, and support citizen innovation in manufacturing by showcasing and promoting resources across Detroit. Michigan Corps leads Kiva Detroit, Kiva's first local-community-organized effort in the United States to support small businesses in Detroit and engage Detroiters as community leaders. Michigan Corps' work to help students and entreprenures begins in Detroit. During an interview on WJR's Internet Advisor Show, Michigan Corps presented its vision and challenged leaders across Michigan to join the national network of CEOs building Michigan Corps. Michigan Corps engages business executives and leaders around the world on behalf of the state's socioeconomic issues. WWJ Newsradio 950's Technology Editor Matt Roush interviewed Michigan Corps following the inaugural Michigan Emerging conference. A recently formed national philanthropy working to help Michigan rebound from its economic troubles wants to get students and youth involved in the effort. This article appeared in the Daily Tribune, Fox 2 News, Fox 28, Fox 33, WLNS, WNDU and many other news sources.